Read Fast Track Your Immune System by Dr. Marc Belitsky to learn more about Broomall Total Health Center and our Chiropractic office in Broomall, PA. The engine of the autumn season is now officially in overdrive. As the rushing to school, sports events or other important functions are on the fast track so may the attack on you and your family’s immune systems. So this month let us all commit to making ourselves a little healthier by choosing one or more of these healthy habits to practice regularly for a victoriously healthy season. Goal for at least seven hours of sleep each night – Better sleep means a healthier immune system. Remember our brain and body recover from the day’s stresses while we sleep. Get Adjusted� — Have you and your family’s spine, and nervous system checked? In the fall season goal to have your spine and nervous system checked each week because your central nervous system runs your immune system. Chiropractic kids are freakishly healthy — This is just one great reason why! Avoid Sugar and Snacks� – Aim to lower the intake of sugary, salty or fried foods, or foods with pesticides or preservatives in them. Although you may not be able to entirely avoid those foods, limit foods rich in those ingredients where you can. Steer your family towards fruit and vegetables instead. Need a fast fun suggestion? How about a fabulous power smoothie! Reduce Dairy� — Try using almond or rice milk instead. Take any child with asthma or ear infections off of dairy, and they improve – just about every time. Add in some adjustments, and the healing is even faster. Exercise Regularly� — Make sure you and your kids exercise each day. Even better, do a small workout in the morning before school together that is fun. It immediately cuts down on whiny morning behavior and best of all It also gets their lymphatic systems moving which makes for healthier kids. Avoid Medications and Let Fevers Ride. When children do get colds, do not immediately lower their fevers. Comfort, cuddle them, and monitor them closely while they have the fever, but try not to lower the fever. A fever is the body’s way of combating the “bugs” and learning how to protect itself in the future from the unwanted invaders. Far too commonly we see that family’s that use fever-reducing drugs often seem to have colds that last for a week or longer. Eat Breakfast Every Morning – that’s why they call it “breaking the fast,” so get your day started with a healthy meal. Questions? Just ask one of our Wellness Team Leaders what he or she suggests, and travel the shortest distance to good health this fall! Ready To Fast Track Your Immune System This Fall? Our Expert Team is ready, willing, and able to help you! 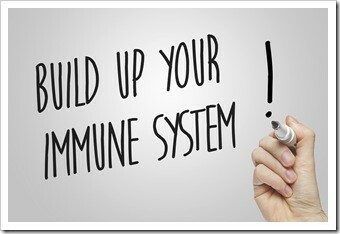 Please ask one of our team members all of your important questions so that we can ensure that you can have prepared your immune system for the strongest fall season yet! This entry was posted on Tuesday, October 16th, 2018 at 1:14 pm and is filed under Health Articles. You can follow any responses to this entry through the RSS 2.0 feed. You can skip to the end and leave a response. Pinging is currently not allowed.